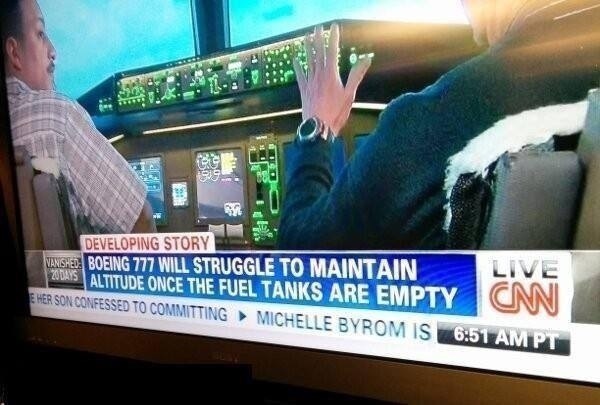 Relative to other recent examples of CNN’s implosion as a news organization, this is a bit of a nit. But “The Situation Room” is a downright silly name for CNN’s daily collection of speculation and misinformation about vanished planes hosted by a semi-literate, botox-smoothed Wolf Blitzer. Final thought. 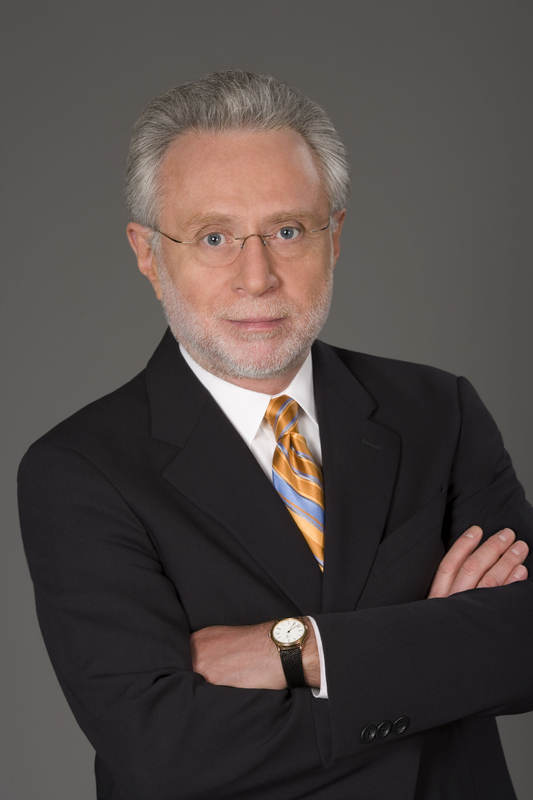 With Blitzer’s show having evolved into a daily installment of breathless chatter devoid of news or insight, I suggest my favorite alternative: The Hyperbolic Chamber. After three weeks of calling every false report, baseless speculation and black hole theory “Breaking News,” CNN encountered a dilemma today: actual breaking news. Search crews have spotted some debris that appears more promising than previous finds, and more boats and planes are en route to a narrowing search area. Hence, “New Developments.” I love these clowns. Water AND land. Tragic mystery closer to resolution. 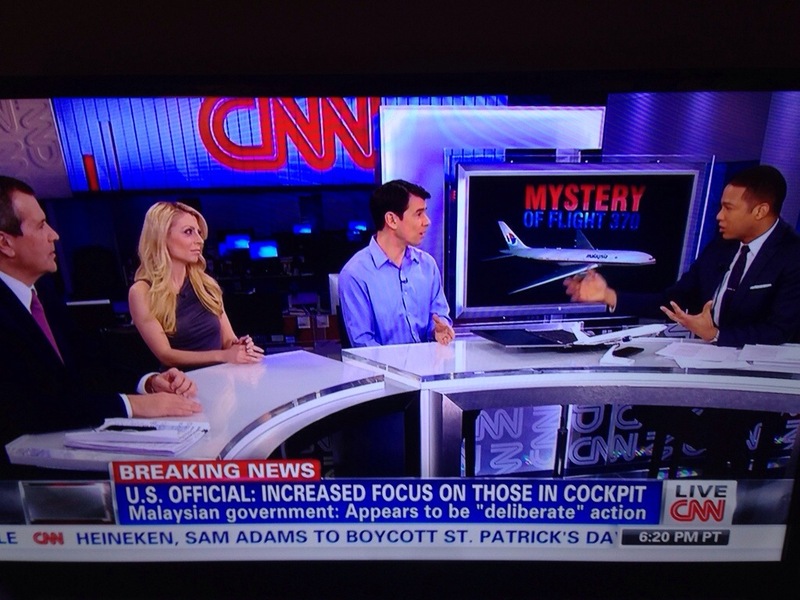 CNN has not broken one single morsel of news about the mystery Malaysian Airlines plane. It has breathlessly chased every red herring this dramatic saga has introduced. 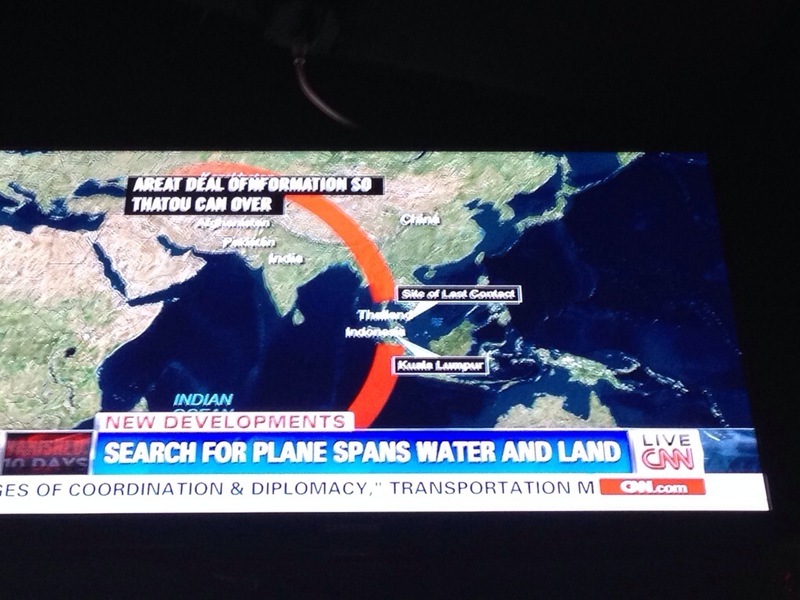 CNN parades a continuous stream of experts and observers with varying degrees of knowledge to speculate on where in the world the wayward aircraft might be. It’s a ferociously fascinating story. I’ll watch a panel yap about what they think might have happened. But let’s call that what it is: People guessing. “Breaking News” implies that news has broken, that something new has been revealed. CNN will run the “Breaking News” title graphic while relentlessly repeating the same updates being reported by every network. Often the “latest” news is hours old. 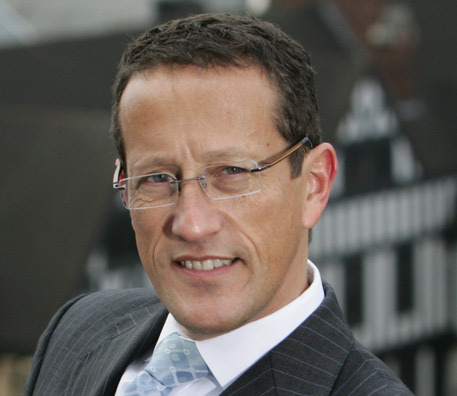 And CNN’s resident aviation expert and meth-addled genitalia wrangler Richard Quest is an imbecile and a twit. He has been spectacularly wrong on almost every observation and speculation. He was almost unequivocal that the Chinese satellite photos from a few days ago were indeed showing the wreckage of the plane. Other more knowledgeable experts urged caution based on the size and placement of the satellite photo mystery debris. But Quest continued to insist with bluster that the photos showed the remnants of the downed plane. He’s a buffoon. “♪ Rot Pockets! ♫” Nestle Recalls Diseased Meat Hot Pockets, Gaffigan Updates Material. Also, Balls. Hmm. Is this really a huge departure from the typical contents of a Hot Pocket? Don’t we have pretty low expectations to begin with? Also, someone on Twitter asked the very valid question: When they recall meat, do they fix it and give it back to you? Like a Kia? On the heels of SNOW MY GOD! 2014, and 4.1 magnitude earthquake just shook Georgia and the Carolinas. On Valentine’s Day no less. Most importantly an hour after this quake rocked the southeast: Why isn’t WSB TV’s Mark Winne dressed like Humphrey Bogart and reporting from the back of a Humvee? UPDATE: Breaking: Governor Nathan Deal forms Earthquake Task Force. Atlanta Mayor Kasim Reed compares response to Day 1 of the last earthquake.